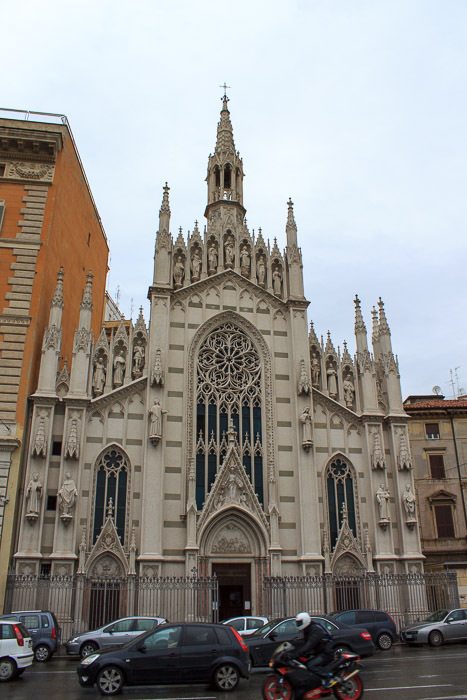 I haven't been inside the Sacred Heart of Suffrage church, this beautiful gothic church on the right bank of the Tiber just caught me eye while I was walking the left bank (Campus Martius side) of the Tiber from Ara Pacis toward Castel Sant'Angelo one day. There is apparently a Museum of Purgatory inside. Right after the church, my eye was also caught by the Roman Hall of Justice which is practically next door. See all Sacred Heart of Suffrage photos.